A controversial hyperbaric oxygen chamber treatment may have reversed brain damage on a little girl who drowned in her family pool. Discovering one’s child motionless in a pool is every parent’s nightmare. Unfortunately, this nightmare became reality for the parents of two-year-old Eden Carlson when they found her body underwater in February 2016. It is believed that little Eden spent 15 minutes in 41°F water. Comatose upon entering the hospital, her prognosis was understandably poor since her brain had been without oxygen for so long*. After 35 days, unresponsive to all stimuli and with MRI scans showing deep injury to the brain’s gray matter, Dr. Paul G. Harch of the Louisiana State University School of Medicine decided to perform a controversial treatment. 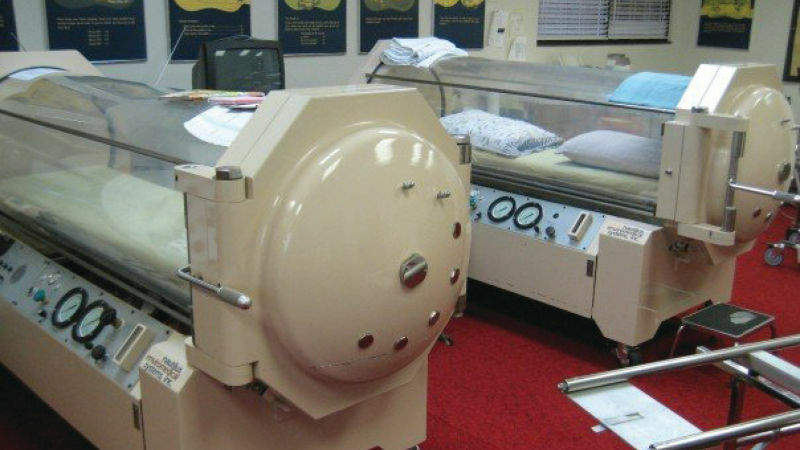 He had Eden placed in an apparatus known as a high-pressure hyperbaric oxygen treatment (HBOT) chamber. After 162 days and 40 sessions of oxygen treatment at both atmospheric pressure and high pressure, much of Eden’s brain damage had been reversed. She could even walk! The efforts of all the medical professionals involved in Eden Carlson’s seemingly miraculous recovery wouldn’t have been possible without a facilities support staff who ensured the hospital’s oxygen was available without interruption for those vital treatment sessions. By becoming certified under the ASSE 6000 standard, facilities support staff can show that they are highly qualified to perform the important functions related to installation and maintenance of medical gases. National Inspection Testing and Certification Corporation (NITC) is the industry leader in offering ASSE 6000 series certifications to Medical Gas Installers, Inspectors, Verifiers, Maintenance Personnel, and Instructors. Whether you’re a training director, association representative, employer representative, or an individual applicant, NITC can help you to exceed your customer expectations. Contact NITC today at (877) 457-6482 to learn more about how our products help prepare the most qualified, most reliable, and safest trade professionals possible thanks to our wide range of industry certifications. * Note: Medical professionals acknowledge that the human brain can survive approximately six (6) minutes without oxygen, underscoring the importance of starting CPR within that critical window of time.